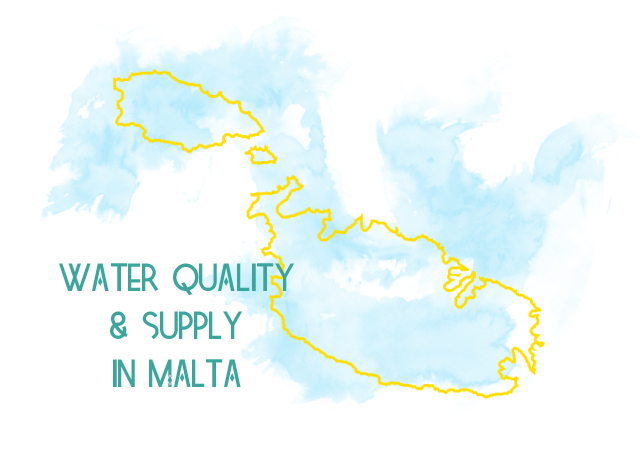 We often get contacted by expats and travellers inquiring about the water quality in Malta. 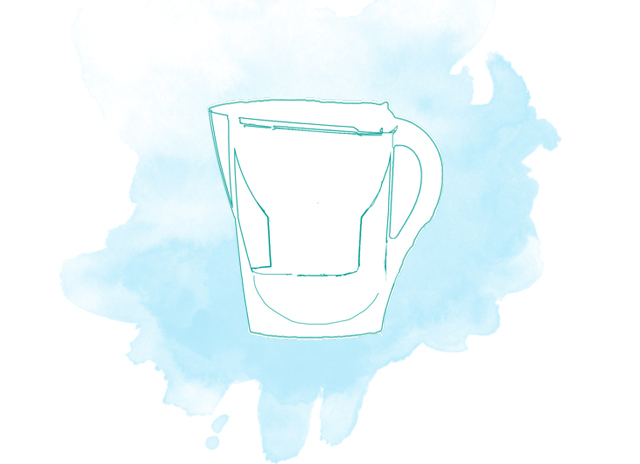 It's a topic you're likely to find more myth than fact about online, and we'd like to throw our experiences (of course, not backed up by scientific research, although that would be fun) into the mix, and chat about water supply problems on this little island. Water in Malta is safe to drink straight from the tap, and will not make you sick. 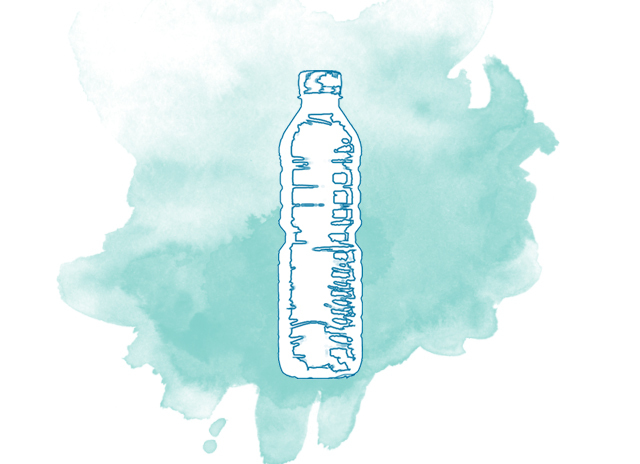 (Don't let bottled water sellers tell you otherwise!) Of course, there may be exceptions to this. We lived at the University of Malta's student residence in 2008, where we were explicitly instructed not to drink the tap water (it was brown). A lot of tap water in Malta is desalinated. In other words, its essentially sea water with the salt removed. We'll talk about what this means, and about the sad state of water resources in Malta, later. Tap water in Malta does have a 'taste.' When you really think about it, all water has a taste that varies widely geographically. The same holds true even for this tiny island - water tastes different from village to village, and even flat to flat, depending on your pipes and filtration systems. I, personally, hate the taste of water in Malta but Mike finds it tolerable, so its obviously super subjective. The taste of tap water in Malta is greatly improved by using an at-home filtration system. We use a Brita, which makes our water taste just as good as any bottle of water I've ever had. Plus, it's cheaper than buying bottles. Water (as a utility) in Malta is (from a Canadian perspective) expensive. Water prices in Malta are priced per cubic meter, and vary according to the number of residents registered to each housing unit, and consumption rates. Domestic usage prices start at €1.47 per cubic meter, and go up to €5.41 per cubic meter. Malta is on the list with Bahrain, Jordan, Kuwait, Libya, the Maldives, Qatar, Saudi Arabia, the UAE and Yemen as being the ten poorest countries globally in terms of water resources per inhabitant. Malta has below the accepted threshold of 1000 m3 of water per inhabitant, considered to be the minimum to sustain life and agriculture. Water that is extracted from the ground has a high level of salinity, due to over-extraction. That makes sense: If you extract more water from an aquifer than you are supposed to, seawater rises up and fills it. Malta has a problem with illegal water extraction. No one really knows how many unregistered boreholes are on the island. It seems that the logical solution is to continue to desalinate water since, after all, Malta is surrounded by the stuff. But desalination is an energy and cost intensive process, and it's not a sustainable solution in the long term. Many dishwashers and clothes washers in Malta have low-water usage settings. Use 'em. What has your experience with water been in Malta, or wherever you live? Do you drink it from the tap? How do you cut your consumption? I'd love to know. I had never really thought about water in Malta but it makes for an interesting topic. I was always a Brita user in Canada but the tap water in Stavanger is so darn good that we drink it straight from the faucet. On our brewery tour, the guide told us that Stavanger has some of the best city water in the country and they use it as is for brewing. As you can guess, tap water in Gabon was horrible. It was dirty and dangerously filled with parasites and bacteria meaning there was no way I'd ever drink it. In fact, I didn't even use it boiled for cooking as I didn't think the risk was worth it and I just recently broke my habit of clenching my mouth shut in the shower. I've always wondered what it would be like to live somewhere where the water is clench-your-mouth-in-the-shower bad. What a big change from Canada, eh! Super jealous of your delicious Norwegian water! There's a whole section in the Environmental Studies curriculum dedicated to water in Malta. We even had to learn the names of the reverse osmosis plants. Most residences and retreat centres advise you not to drink from taps, but there's no real reason not to. As far as I can tell they just want to make sure there's no way you can blame them for getting sick while you're staying there. Water in Mellieha definitely tastes better than water in Sliema. If it weren't for the fact that you get free six-packs of water when spending over a certain amount at our local supermarket, we'd drink tap water all the time. Thanks for joining the conversation Rachel! I figured there was no reason not to drink it (except for its funky colour and taste). Isn't it funny that the water taste varies from village to village, even on this tiny island? Water is perfectly safe to drink in Malta, and is regularly monitored by the local utilities company, 'Water Services Corp.'. You were probably instructed not to drink from it since it's very hard given it is obtained from the water table, after filtering through the layers of rock in the ground, and from the sea through desalination. It therefore has a large number of minerals dissolved in it, even though salt is removed. This leads to it's taste. It might be a cause for kidney stones in the long run, but otherwise there's no way water here will make you ill due to bacterial or viral diseases. Thanks for joining the conversation Luke! I didn’t know and never heard before on the quality of water in Malta. I’m just amazed to learn that there are parts of this world where even the necessary element of life, the water, is very scarce. I am refereeing to the tap water to drink here. This only reminds us that water conservation is a must. 1,47Eur/m3 is a cheap price! I just paid my water bill, 100Eur/16m3/3months. Could You please check You numbers from Your bill?